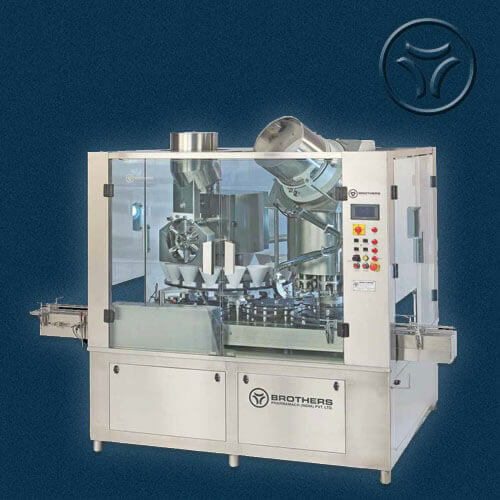 The Automatic Single Head Linear Augur type Dry Syrup Powder Filling Machine Model DRYFILL-30, is suitable for Filling Dry Syrup Powder in various type and shape of bottles with maximum speed of 30 Bottles per minute depending on Fill Volume, type of Powder and Bottle Size. 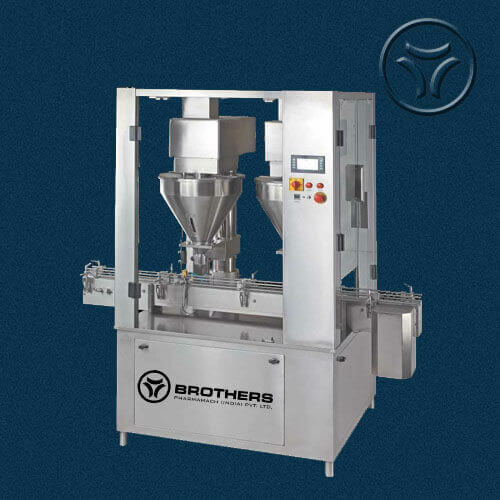 Machine with proven Augur type Powder Filling System for filling higher volume of Powder in Single Dose. 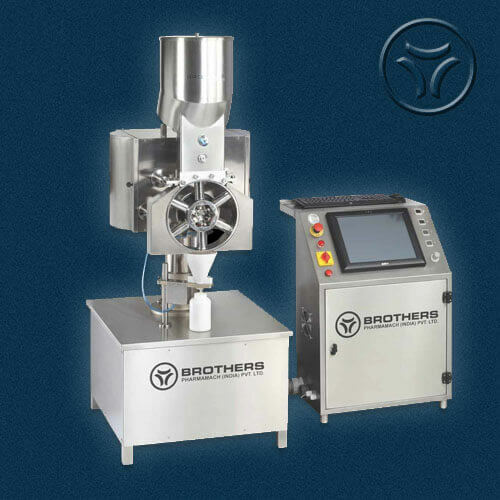 All Parts coming in contact with powder are made from S.S. 316, Nylon and HDPE material. 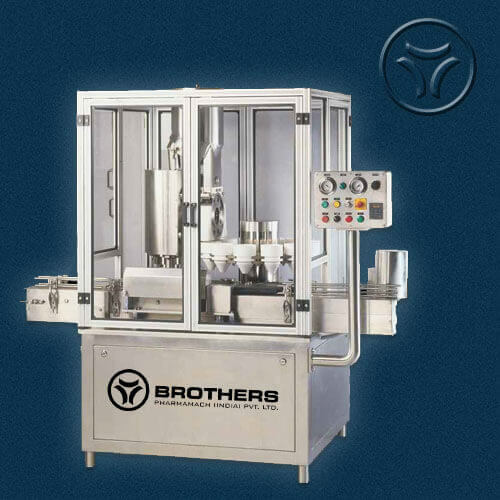 Machine with No Change parts system for change in Size of Bottles due to pneumatically operated bottle separator system as well as PLC Controlled SERVO Augur Filling System for Fill Volume. 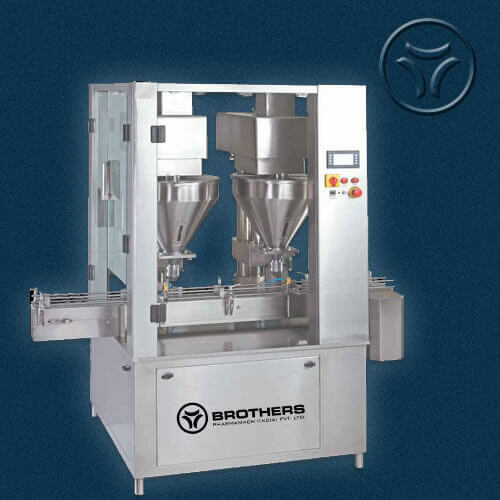 Machine with Optional Turn Table for Round Bottle at the infeed and Out feed for continues feeding of bottles as well as collection. 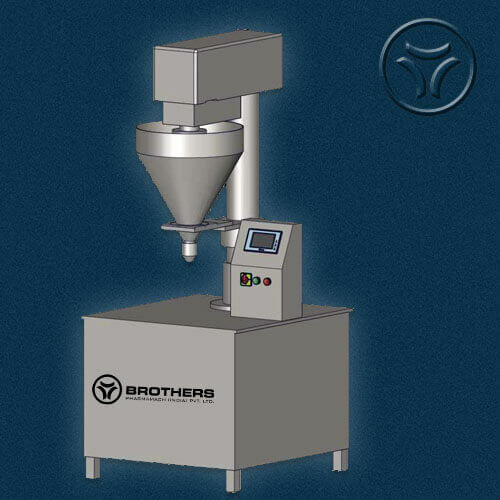 Fill Range : 5gms. To 60gms. 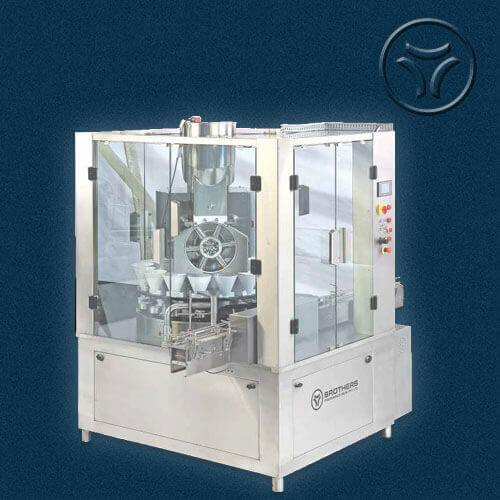 In Single Dose System with the help of required change parts. 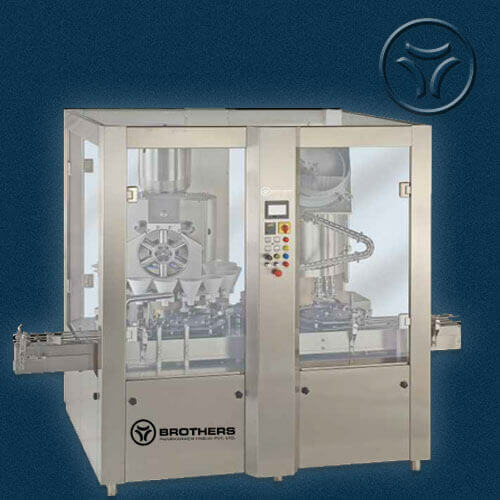 * Specification can be changed as per customers requirements, Image shown above is Twin Head Machine for reference only.